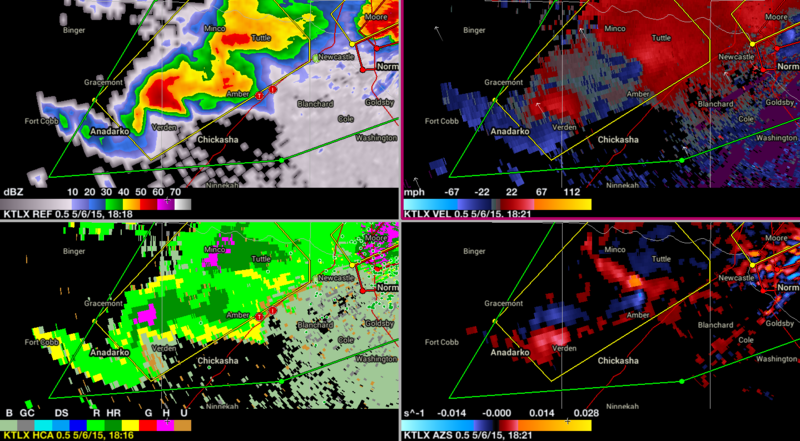 That cell looks to be weakening. 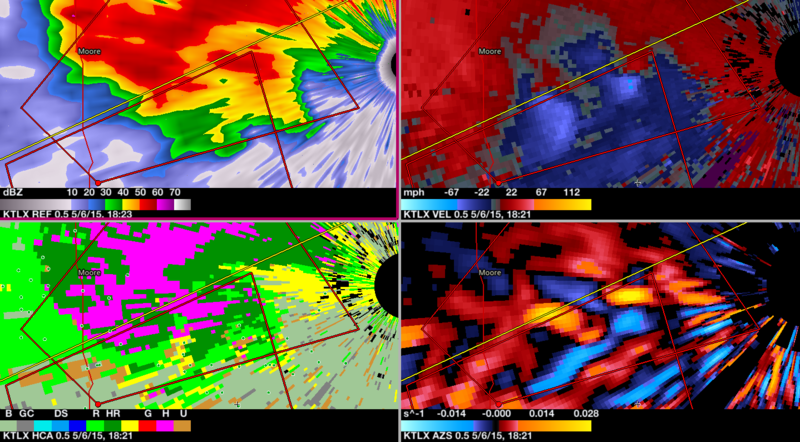 Any signs of tor in the cells to the southwest of OKC? 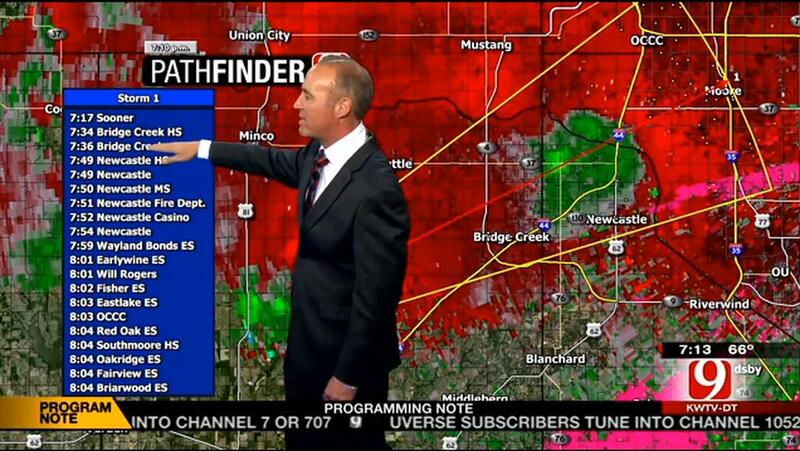 TORNADO WAS LOCATED NEAR MOORE...MOVING NORTHEAST AT 15 MPH. LAKE AND TINKER AIR FORCE BASE. 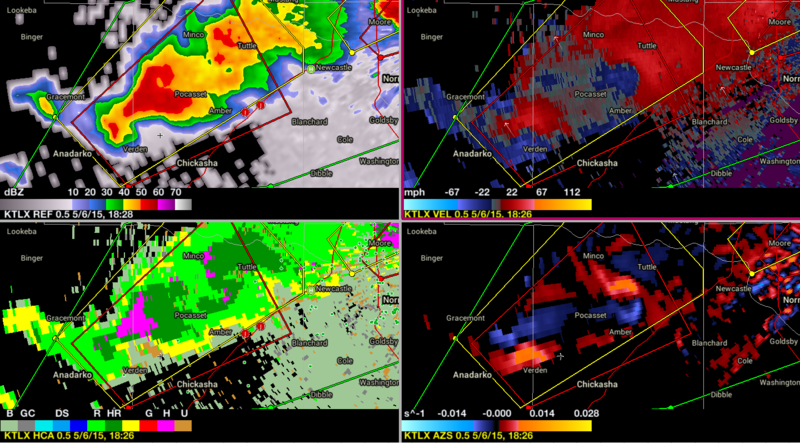 EMA Reports tornado on the ground with the warning posted above! I think my dirt may be getting stirred up! some relatives got hit near the airport. Any word from them yet Mark? Pole barn down, travel trailer and pool lost south of Will Rodgers airport,and I had my dirt mixed up. I hate nights like this. I'm dreading Saturday.